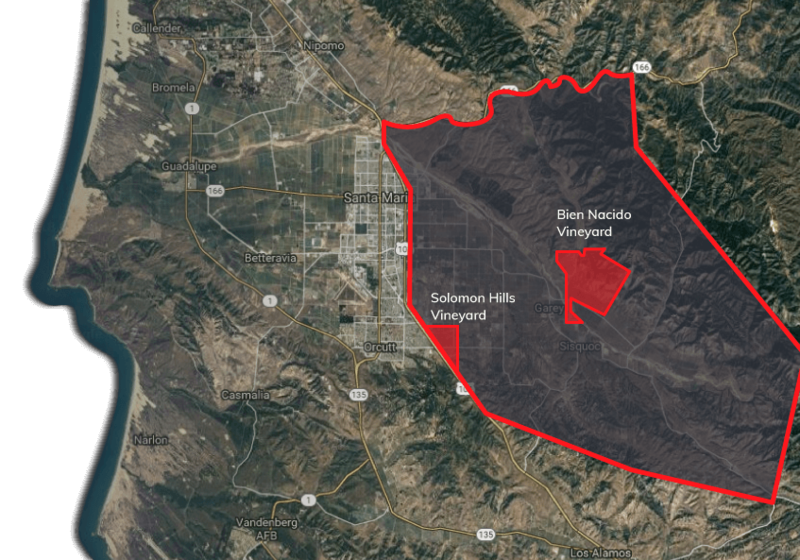 Bien Nacido and Solomon Hills, two unrivaled vineyards. 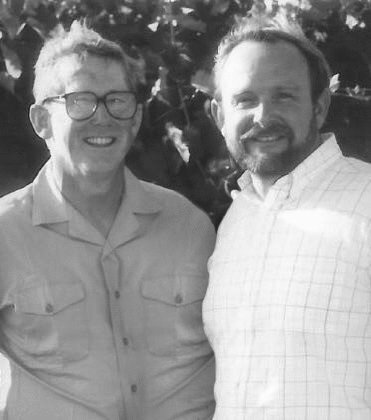 In 1969, brothers Bob and Steve Miller came together with one vision – to develop a vineyard that would be acknowledged as among the elite vineyards of the world. 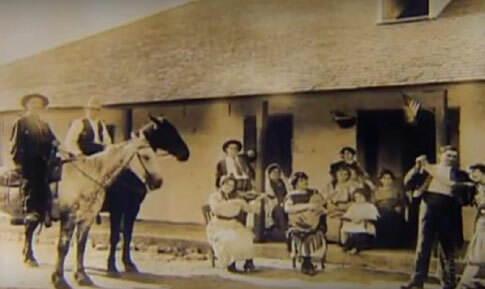 It was a goal that celebrated their family’s 100th year of California farming, which began in 1871, and meant to show the strength and quality of the Central Coast. Bob & Steve Miller found a piece of land they instantly knew had potential. 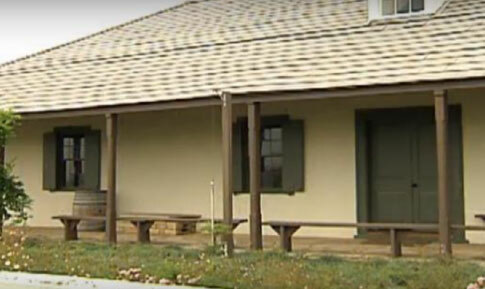 Formerly used as grazing land, it was part of one of the earliest Spanish land grants. However, the shale soil and unique climate from the transverse mountain range provided a lens into its potential. Four years of hard work and sweat equity led to the original vineyard plantings – 300 acres of Pinot Noir and Chardonnay. They were inspired by the high elevation of the vineyard and later named that block “The Captain” after their father, Captain Robert Miller. 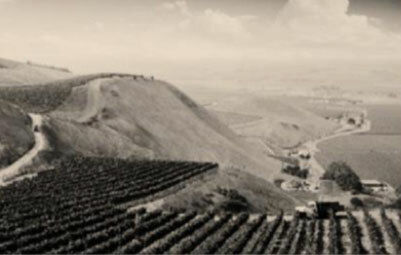 The vineyard was planted in 1973.
they shared in bringing it to life. Tepusquet after the nearby creek. 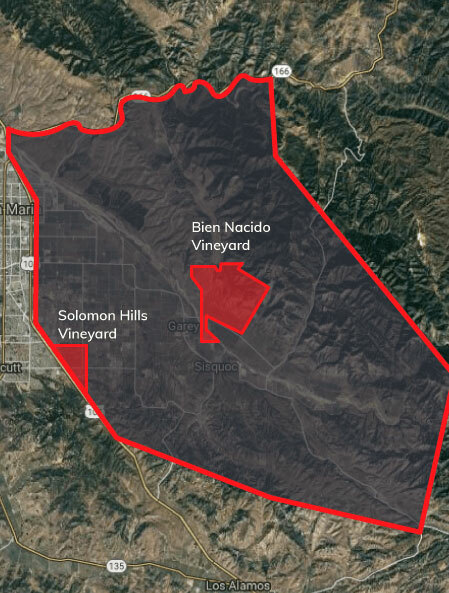 Bien Nacido is located in the Santa Maria Valley, one of the coolest wine growing climates in California. (Winkler Region 1). cool climate and ocean influence. of a transverse (east to west) mountain range, funneling in a steady wash of cool marine air. a unique parcel of land with a special history. Hills. 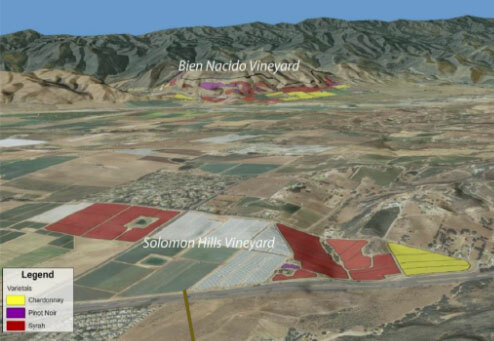 It is the western most vineyard in the Santa Maria Valley, just eleven miles from the ocean. demonstrate crisp acidity, bright fruit and inherent elegance. discoverable nuances in each of the wines. 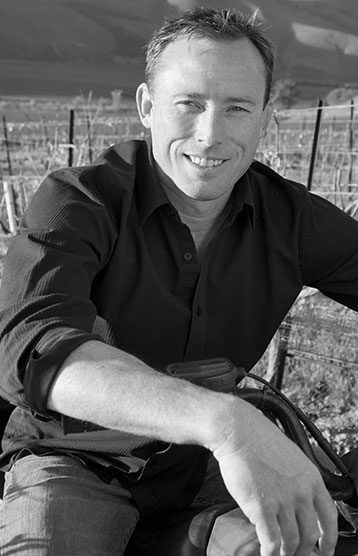 Trey joined Bien Nacido Estates in 2011 as Winemaker and General Manager. He studied enology & viticulture at California State University Fresno. 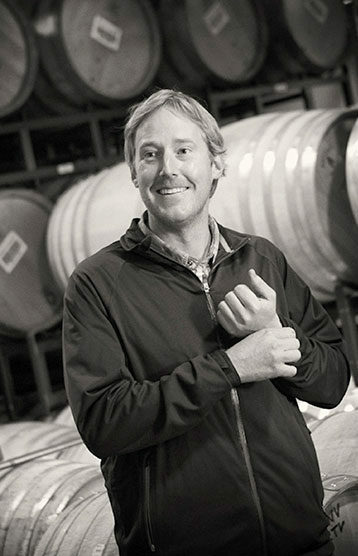 Trey has made wine and grown grapes in Europe, New Zealand, Argentina and California. 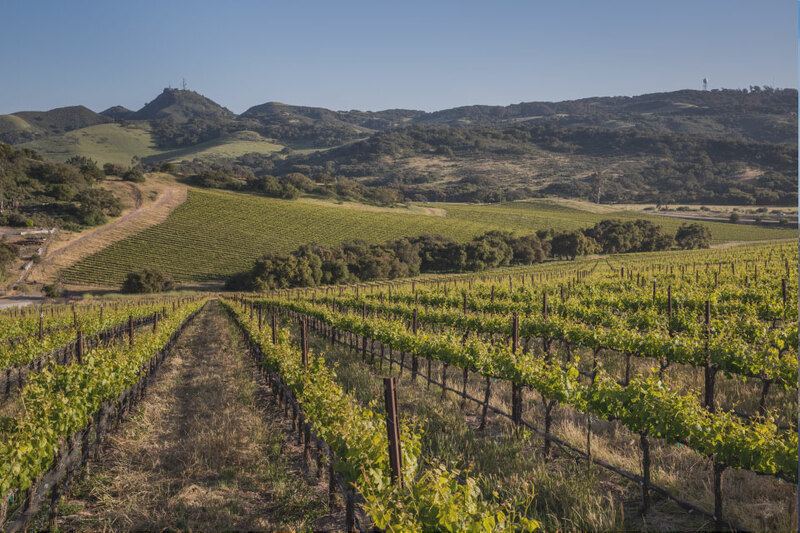 Upon returning to the United States, Trey worked several vintages in the Napa Valley, Sonoma Coast and Central Coast of California. 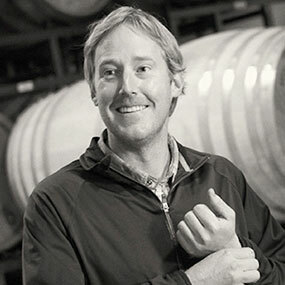 Prior to taking over at Bien Nacido, Trey was Associate Winemaker at Littorai Wines on the Sonoma Coast. Chris grew up in Arroyo Grande and has a degree from Cal Poly in Agribusiness. He gained valuable experience at Cambria Vineyards in the Santa Maria Valley, first as Assistant Vineyard Manager and then later promoted to Vineyard Manager. 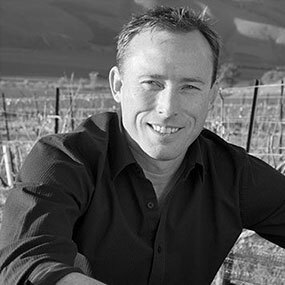 Before joining Bien Nacido, Chris was the Director of Vineyard Operations for the David Bruce Winery. 2012 Solomon Hills Chardonnay – 93 pts. 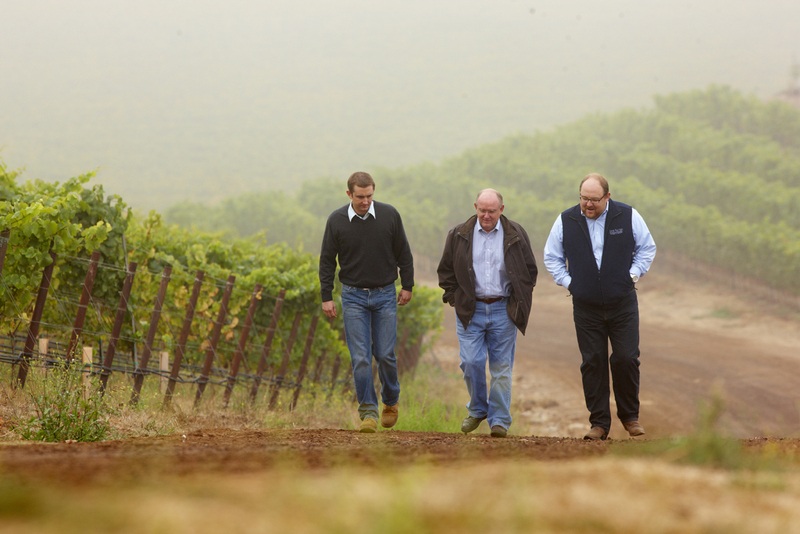 2010 Solomon Hills Chardonnay – 92 pts.